A house fire, no matter how big or small, can cause a lot of stress. At Paul Davis, we’ve been providing fire damage restoration services for years. Since 1966, Paul Davis has restored thousands and thousands of houses marred by fire. 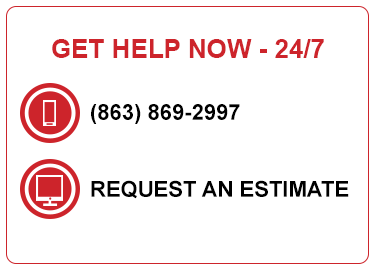 If you need immediate service, please call us or click the “24-hour Emergency Services” button above. We’ll do everything possible to arrive at your home within 4 hours. Why is using a certified fire and smoke damage repair firm important? Heat isn’t the only damaging agent during a fire and restoring and repairing wide-spread damage is a long operation. Smoke can reach far into every nook and cranny. After a fire, soot coats surfaces throughout your home. Waiting to begin work or hiring a restoration company without the proper certifications and experience can lead to higher costs for incompetent service. Your efficient, qualified repair and fire restoration experts from Paul Davis have the experience and know-how to repair any problem due to a fire. Most importantly, ensure the protection of the home’s occupants. You can review tips and information regarding fire damage and what you can do before we arrive here. Relevant certifications and expertise are vital. That’s why the people of Polk County call Paul Davis for restoration services. At Paul Davis, we have the credentials and can complete fire restoration jobs quickly and comprehensively so you can move back into your home.